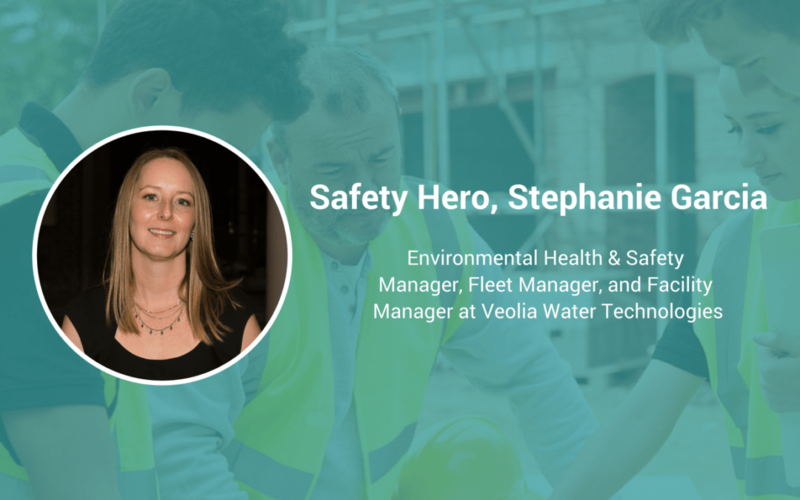 Stephanie Garcia is a genuine and caring Safety Hero who knows how to align safety, strategic goals, and business objectives. With nearly two decades of safety experience, today Garcia is the Environmental Health & Safety Manager, Fleet Manager, and Facility Manager at Veolia Water Technologies. Veolia Water Technologies specializes in technological solutions and design and build projects for water and wastewater treatment. The company serves both industrial and municipal clients. On a daily basis, you can find Garcia dedicated to supporting safety and health—not just at work, but throughout her life. That includes everything from fostering a healthy and safe culture to safety training to supporting compliance at her company. Let’s take a closer look at her story. I enjoy helping people and there was a need in my company at the time and I had the passion to fill it. Patience and persistence, others might not always understand why they have to do things a certain way. You have to be patient enough to explain it and persistent enough to stand your ground. At my previous employer, prior to my responsibility in safety there was a fatality of someone that wasn’t employed by our company. I always remember that when it comes to contractor safety and guests/visitors on site, it’s our responsibility as well. I want everyone to know that a safety culture doesn’t stop when your workday ends; safety should be a way of life. My superpower would be the ability to follow-through, accessibility, and my personality. I’m genuine and I care. That it would be a value that is always thought of, and not something that is emphasized after an incident brings a situation to light.